After the profligacy of the last few years, Indian startups are now slowly beginning to turn their balance sheets around. Oyo Rooms has said that its revenues have grown nearly 7 times in FY17 over the previous year. Oyo’s revenues were Rs. 125 crore this financial year, up from a mere Rs. 17 crore in FY16. And the increased revenues helped pare down Oyo’s ballooning losses — the company lost Rs. 364 crore in FY17, down 27% from its losses of Rs. 497 crore in FY16. Oyo is the latest Indian startup to have raised revenues while managing to rein in its losses this year. Swiggy had managed to raise its revenues 6.5 times while its losses only rose 1.5 times, and Zomato had managed to raise revenues 81% while cutting losses by 34%. Byju’s has nearly doubled its revenues while losses only rose 20%. 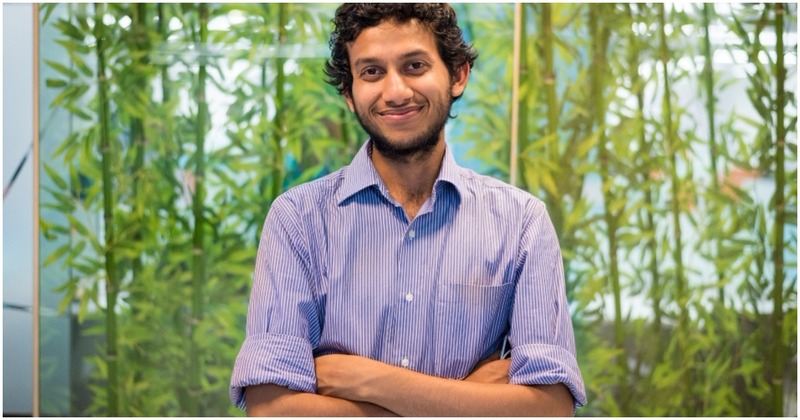 Oyo said its increased margins were thanks to more than doubling its growth in room nights, which are the total bookings on its platform, and significant improvement in its margins. For most of 2015 and 2016, Oyo had a negative take rate, which meant that it was paying hotels more for rooms than it was charging its customers. If a customer, for instance, paid Oyo Rs. 2000 for a hotel room, Oyo paid the hotel Rs. 2500. This was necessary to provide discounts to customers, and also incentivize hotels to let Oyo book its properties. 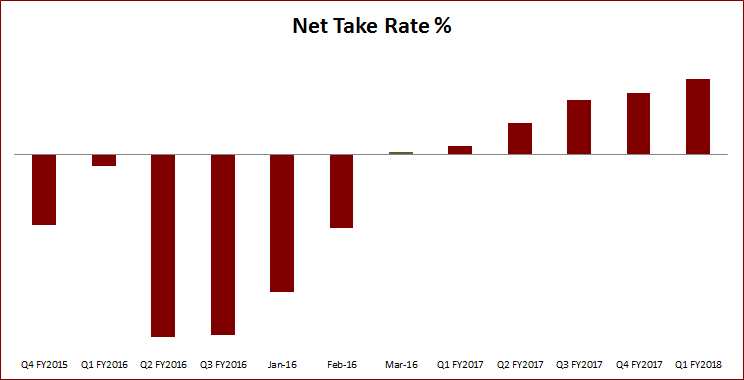 Oyo, however, has gradually increased its take rate — it became positive for the first time in March 2016. It has been increasing ever since, and Oyo projects it’ll keep increasing in the near future. Oyo has also been investing in other initiatives, including the Oyo Townhouse, through which it owns and operates properties across India. Oyo says its Townhouses are targeted towards millennials, and are a cross between a cafe, a coworking space, and a hotel. Oyo already has 6 such properties in operation, and soon aims to grow the number to 30, Oyo Chief HR Officer Dinesh R had told OfficeChai in August. Given there’s no middleman between Oyo and the Townhouse’s customers, they’re expected to help improve the company’s margins as well. Oyo, of course, isn’t out of the woods yet. It’s still losing nearly Rs. 1 crore every day, and it remains to be seen if its customers and hotel partners are okay with the company taking a larger share of their transactions. But the trends are positive. “2017 has been a watershed year for us,” said CEO Ritesh Agarwal. And upbeat after its strong performance, Oyo has also sounded out an alert to other players in the industry. “We are confident that in the coming year we will extend our lead over both traditional hotel chains and emulators of our business model,” Agarwal added.